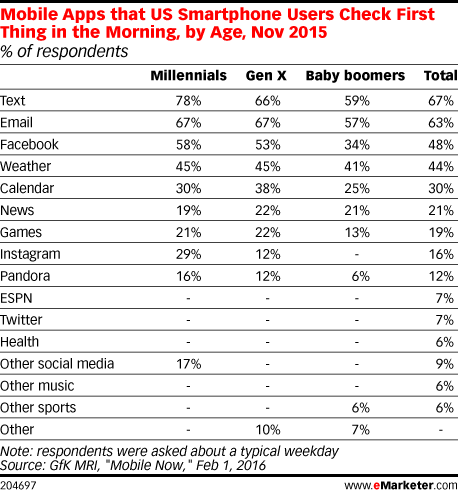 Data is from the February 2016 GfK MRI report titled "Mobile Now." 5,950 US smartphone users ages 18+ were surveyed via mail during September-November 2015. All respondents were part of the national syndicated Spring 2015 survey and were recontacted for this survey.